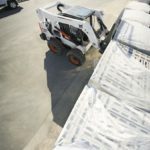 Harnessing over 50 years of leadership in the design and construction of compact equipment, Bobcat has begun the launch of a completely new generation of machines that set up the new standard in the skid-steer and compact tracked loader market worldwide. All the innovations on the new loaders are dramatic. Take the Premium Cab design, the largest on the market, with more space, less noise and enhanced ergonomics for greater operator comfort, enhanced productivity and better protection both back and front. Even more dramatic is the new forward position of the cab that significantly increases visibility for the operator both in front and all round the machine. 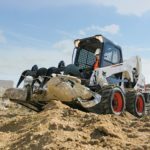 Add to this a significant increase in power and hydraulic performance that boosts productivity; simplified maintenance and serviceability; and a completely new engineering design coupled with improved durability that further increases uptime. The new cab has been built in accordance with the axiom that the more comfortable an operator is, the more productive he will be. The threshold of the cab door has been lowered and the size of the cab door has been increased, making it easier for operators to enter and exit the cab. 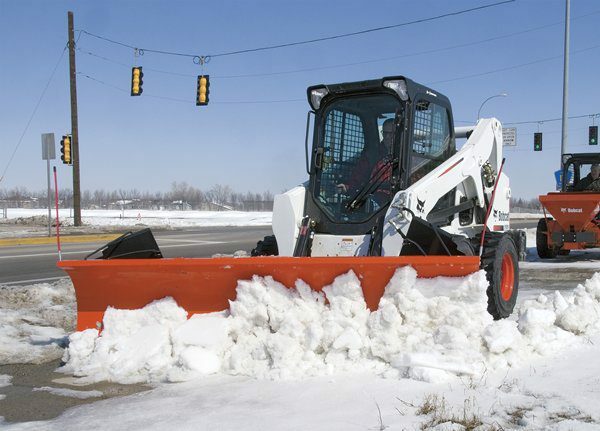 The new cab offers 30% more visibility all round the loader. The 5 cm forward positioning of the cab places the operator closer to the attachment. Forward visibility is further enhanced thanks to a 45% larger door and a lower front cross-member on the cab. Also contributing to improved visibility is a 50% increase in the output (total wattage) of the front work lights. There are two bulbs instead of one as in the past. The top window is better sealed, preventing water from entering the cab. The top window of the cab is more than 40% larger. Customers requested a more productive loader in a smaller package. 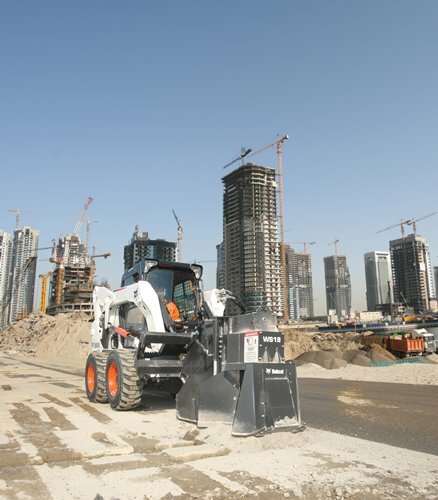 With the 600 series loaders, we achieved this through a combination of factors. 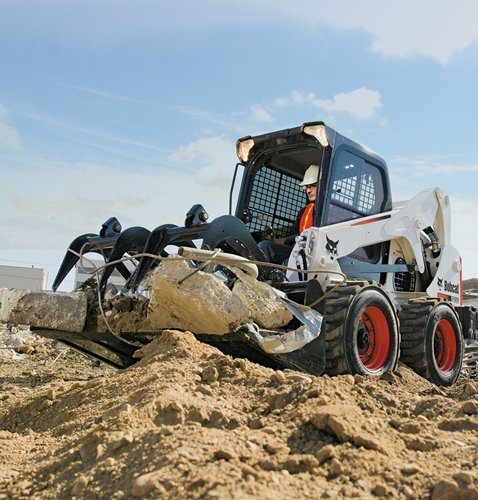 Traction on the new generation loaders has been increased by 15 to 20% to provide greater pushing and digging power. The ratios in the transmission were changed. The standard flow hydraulic efficiency has been increased by over 30%, providing better attachment performance. Hydraulic flow has been increased by 11% or 9 l/min. At the same time, the pressure of the pumps has been increased by almost 14 bar. 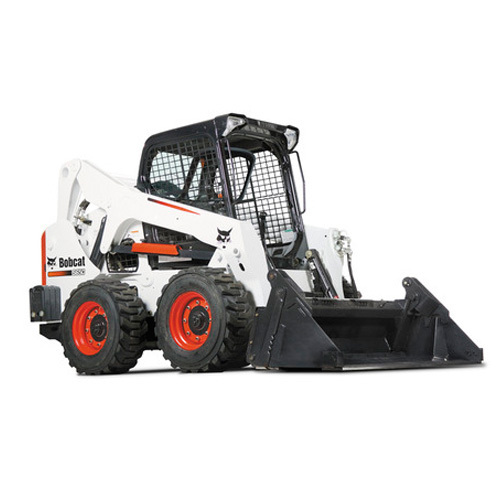 In addition, the back pressure of the hydraulic system has been reduced by 7 bar. 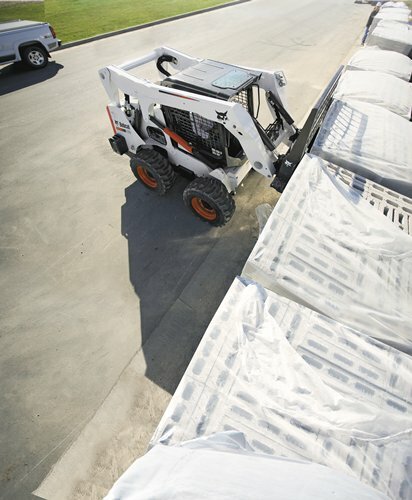 The new generation loaders are built to work long hours on demanding jobsites. The hydraulic quick couplers are mounted directly to the front plate of the lift arm. A guard bar extends out in front of the couplers for added protection. In general, the new series design uses more parallel controlled routings and minimizes the chance of rub points between plumbing components. Components have been re-designed to allow use of straight fittings instead of adjustable fittings. Straight fittings eliminate routing variation by the assemblers due to fitting orientation. 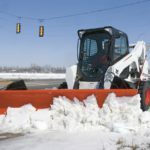 The two-speed block is placed directly between the drive motors for short, clean routings. The bucket positioning valve has been relocated to the back right side of the machine. This allows more direct routings from the main control valve to the cylinders. The main control valve is mounted off the transmission and angled at 30° to improve serviceability and assembly. 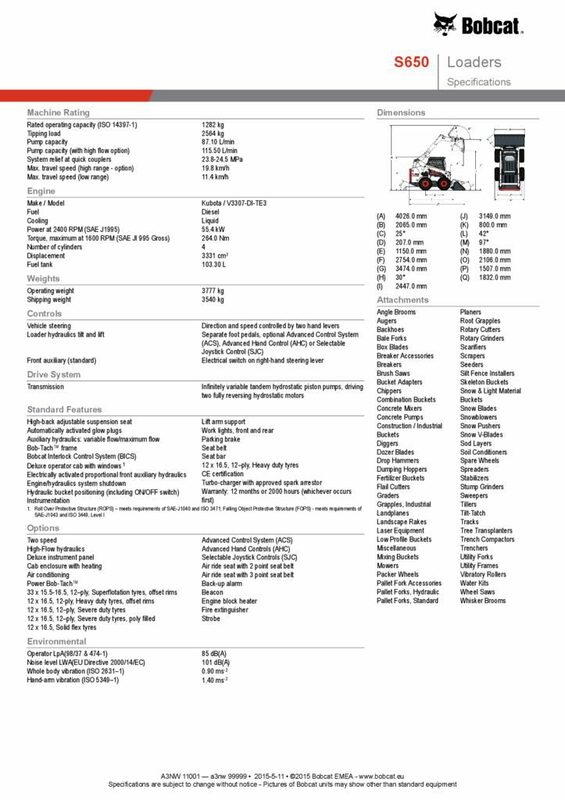 The transversely mounted engine and swing-open tailgate offer optimum ease of maintenance. The oil cooler swings up, allowing the area between the oil cooler and the radiator to be cleaned quickly. The holes in the screen are smaller to keep more debris out of the cooler. A new hydraulic sight gauge helps the operator quickly check hydraulic oil levels. End-greased pivot pins at key points around the loader simplify greasing of the pins. The tailgate door now swings open to the left, which makes it easier to refuel the loader when it is transported on a trailer.